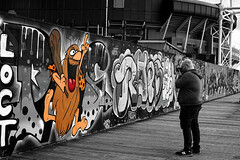 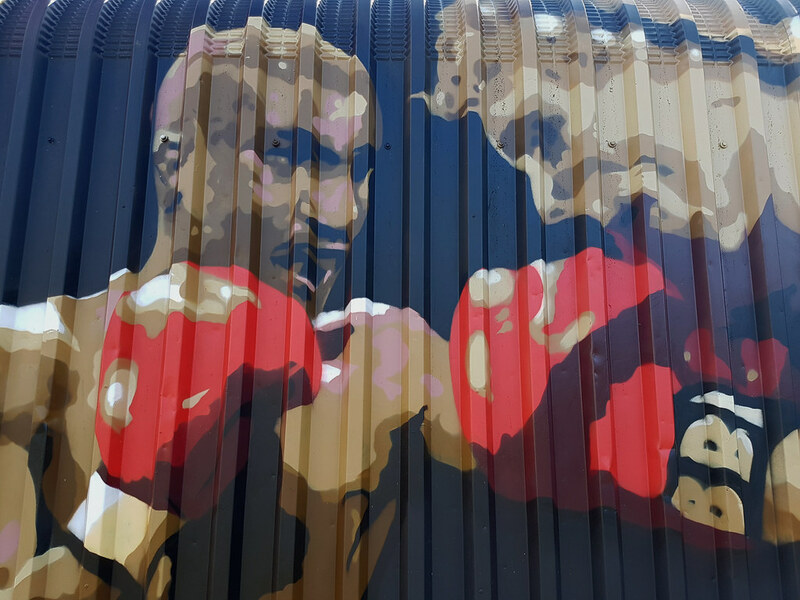 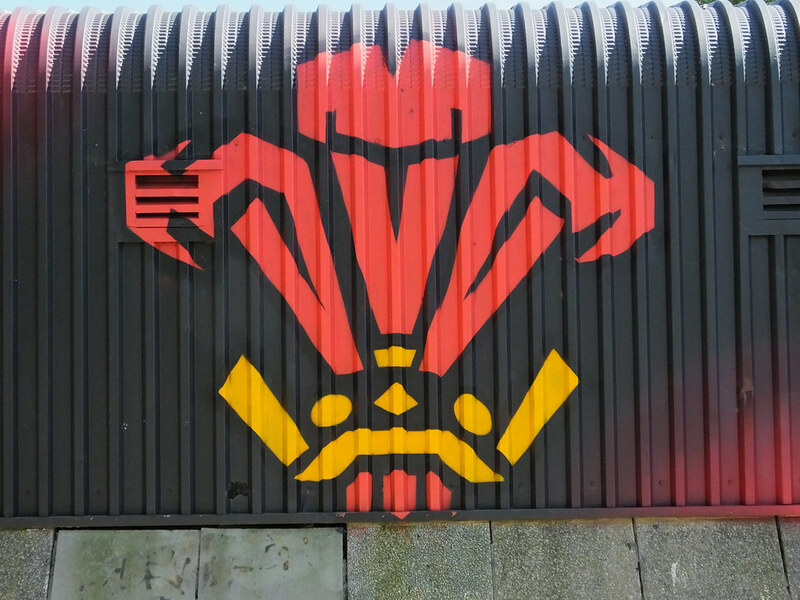 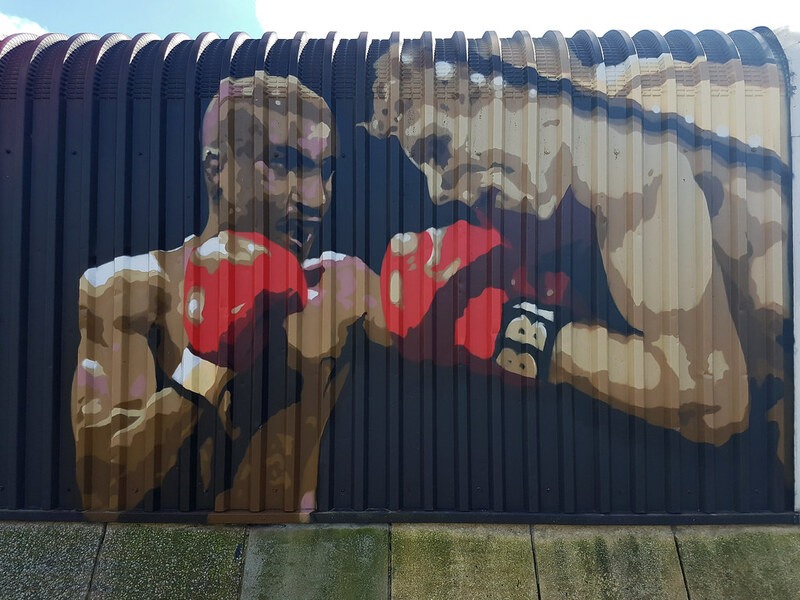 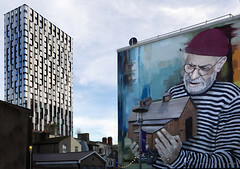 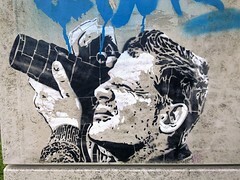 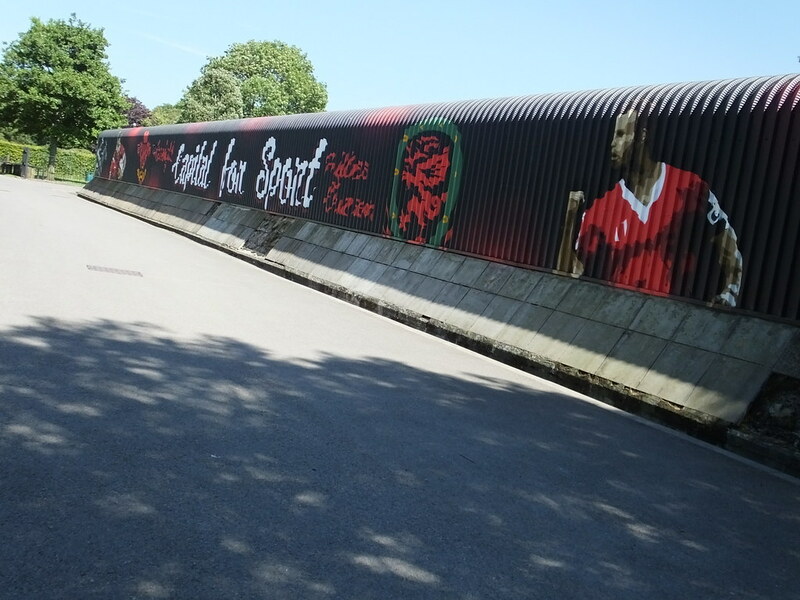 Local artist Peaceful Progress has recently been commissioned to spruce up some council buildings around Cardiff to help promote the importance of sport in the city. 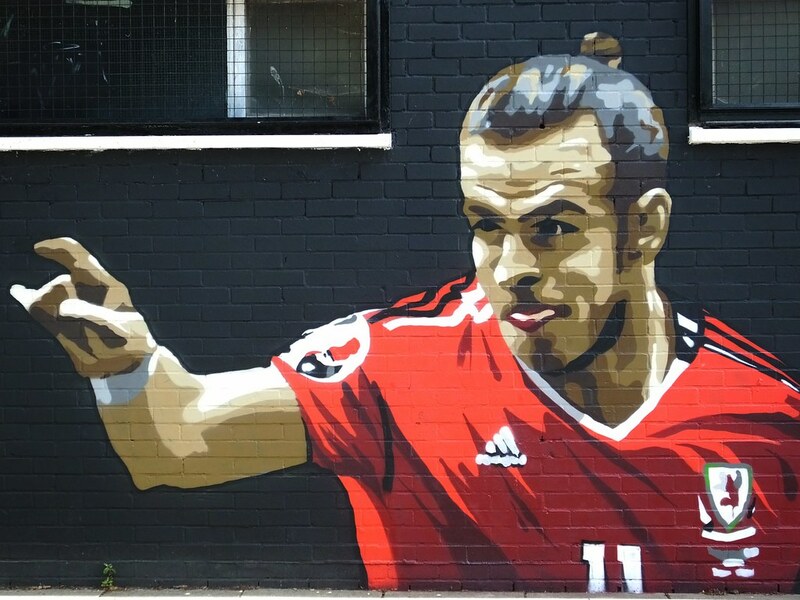 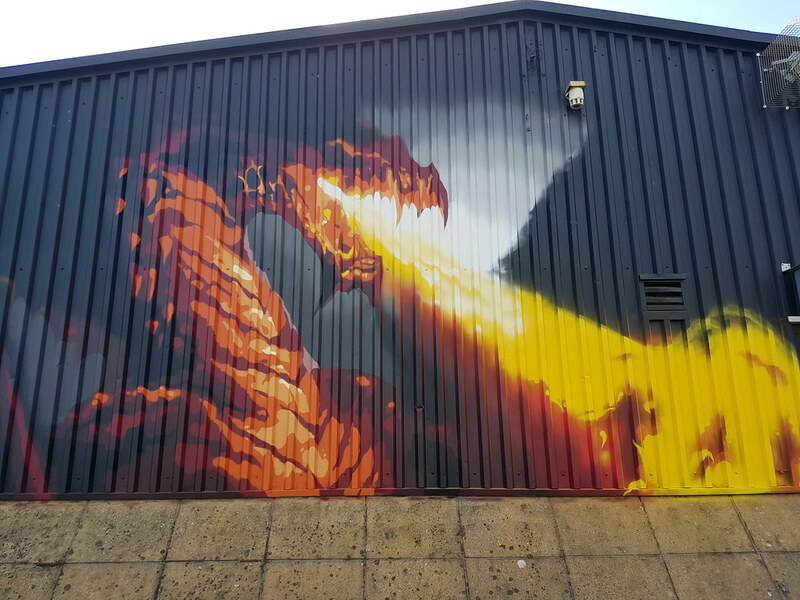 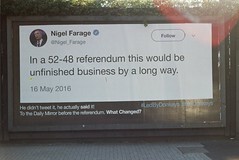 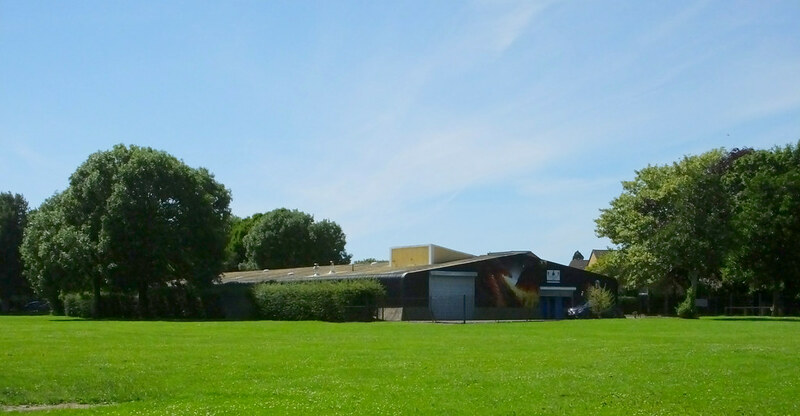 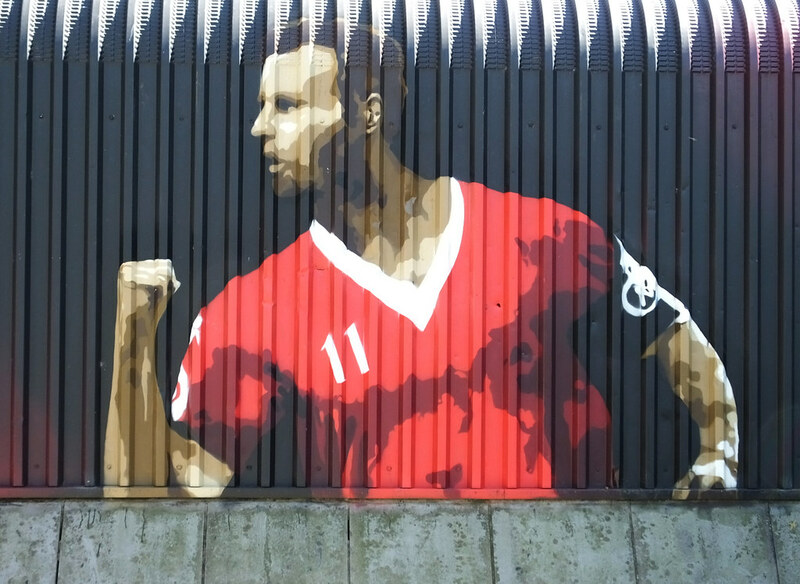 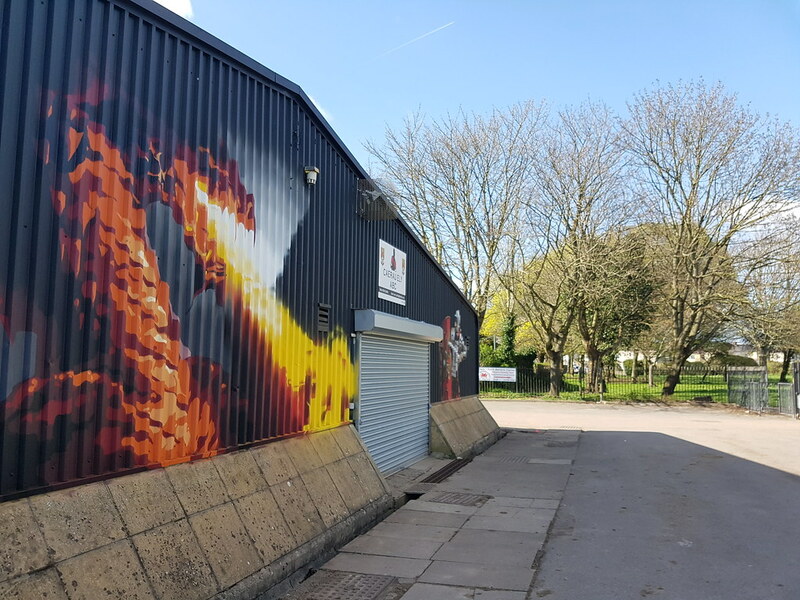 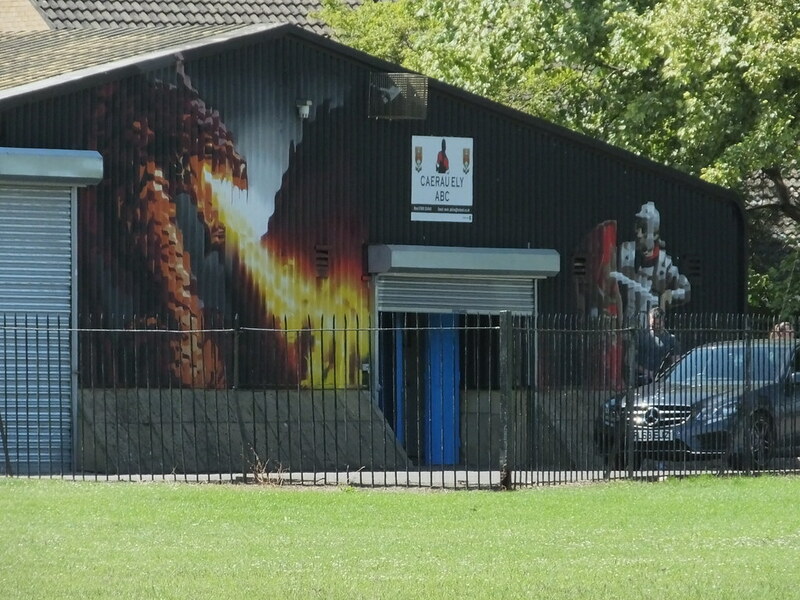 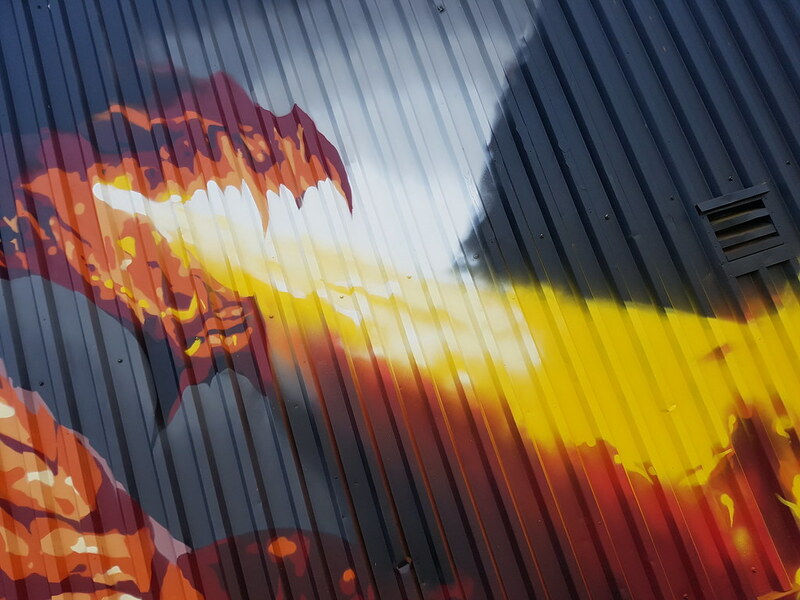 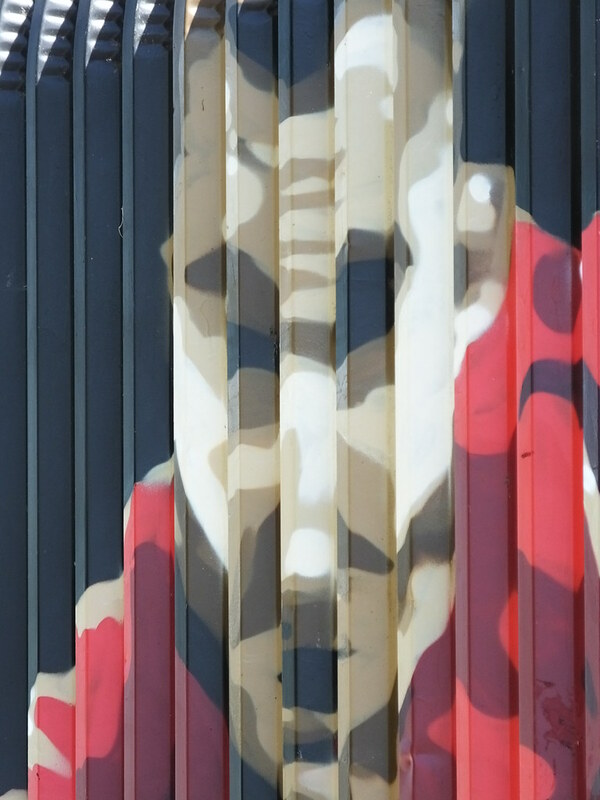 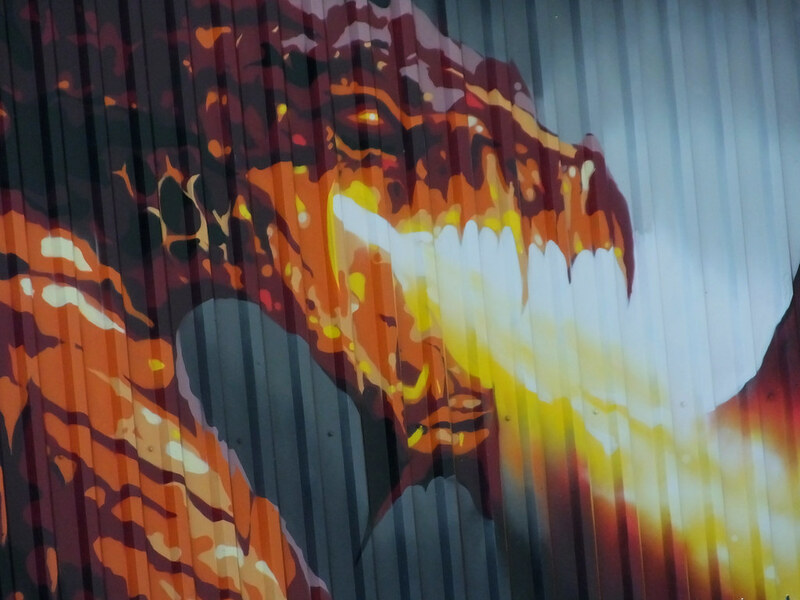 His first stop was in Pontcanna painting a huge fiery dragon and representations of some sporting greats from the capital including Sam Warburton, Tanni Grey-Thompson and Gareth Bale on the nearby changing rooms. 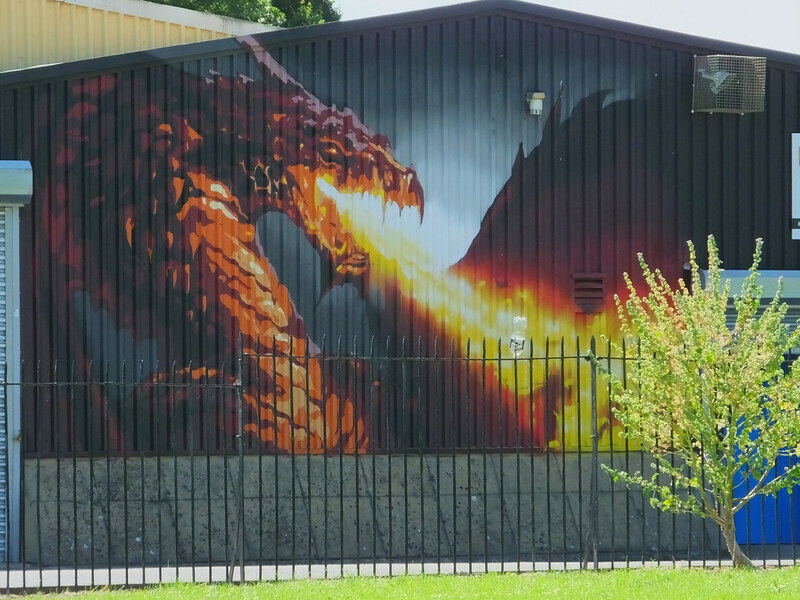 Next up was the artists’s latest commission to help spruce up the changing rooms based at Trelai Park in the Ely part of the city. 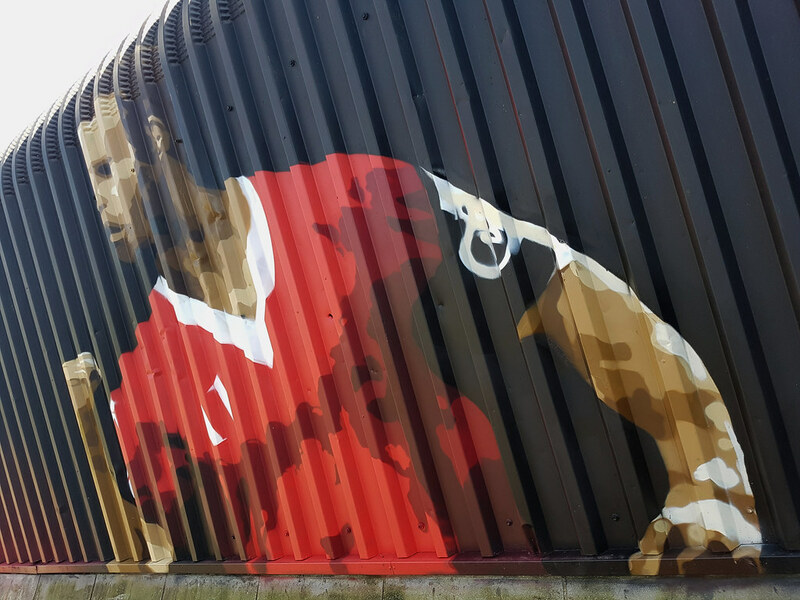 On the length of one side of the building is the continuing branding of ‘Capital for Sport’ and the logos of the WRU and FAW along with some sporting greats from the local area including Ely born Ryan Giggs and boxer Steve Robinson. 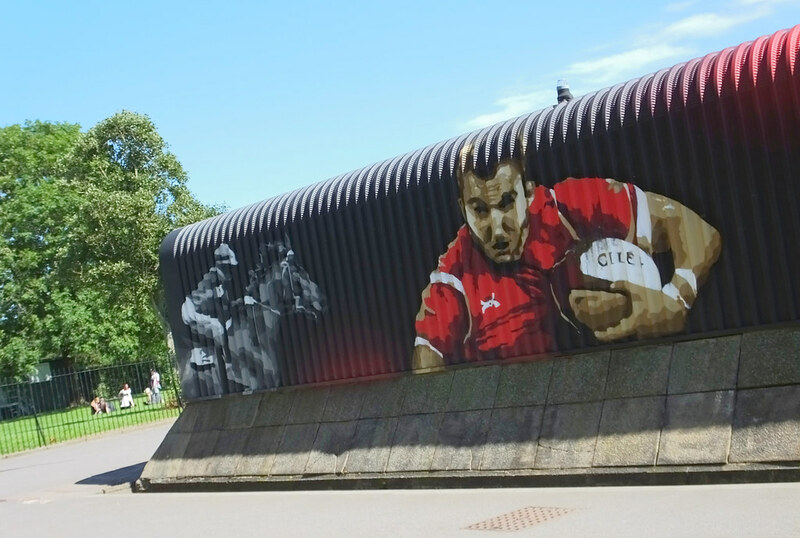 Apologies to the artist but as the surface was extremely rippled and not the slightest bit flat I did struggle to spot who the rugby player was. 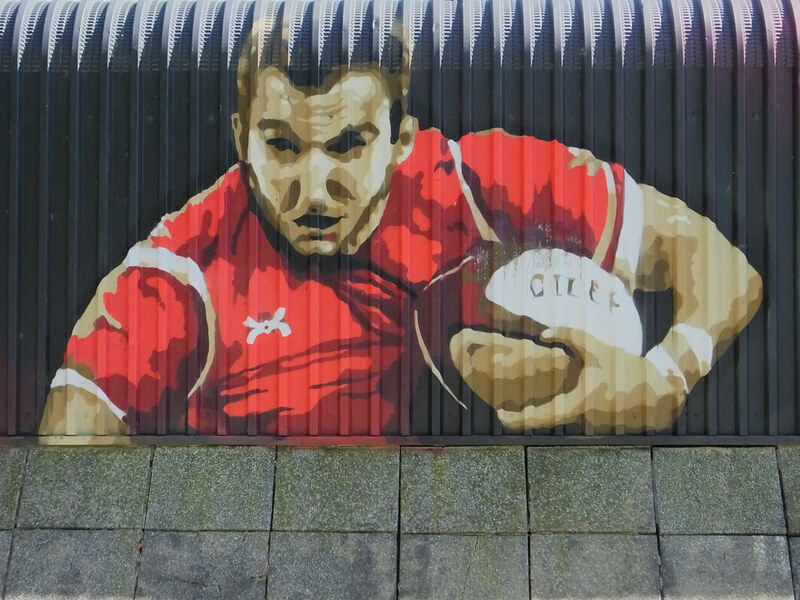 Maybe I was over thinking it by assuming it was some Ely-born talent but it does have the resemblance of Sam Warburton. 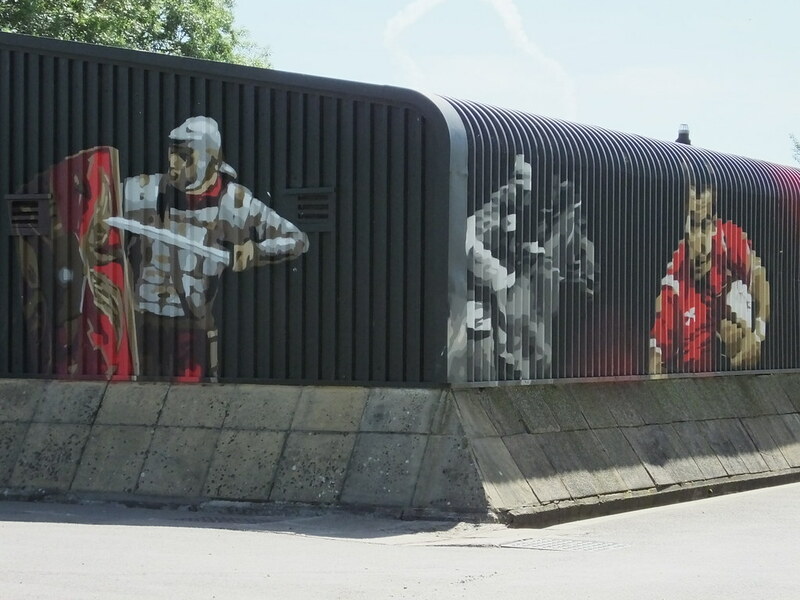 Not only were a host of current sporting greats featured but also a nod to the history about the local area was added to the changing rooms too. 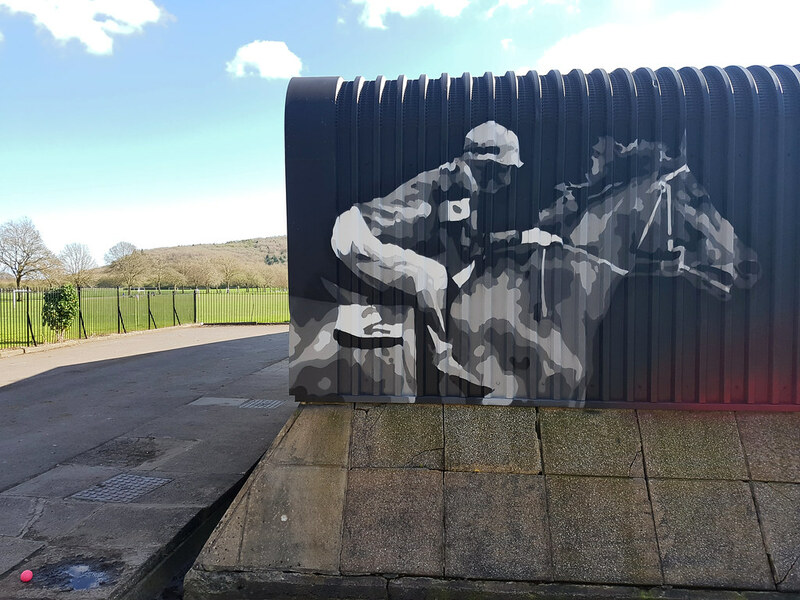 Illustrated on one side was a race horse as previously this was the site of a large horse racing course from 1855 until the mid-twentieth century and even hosted the Welsh Grand National many times. 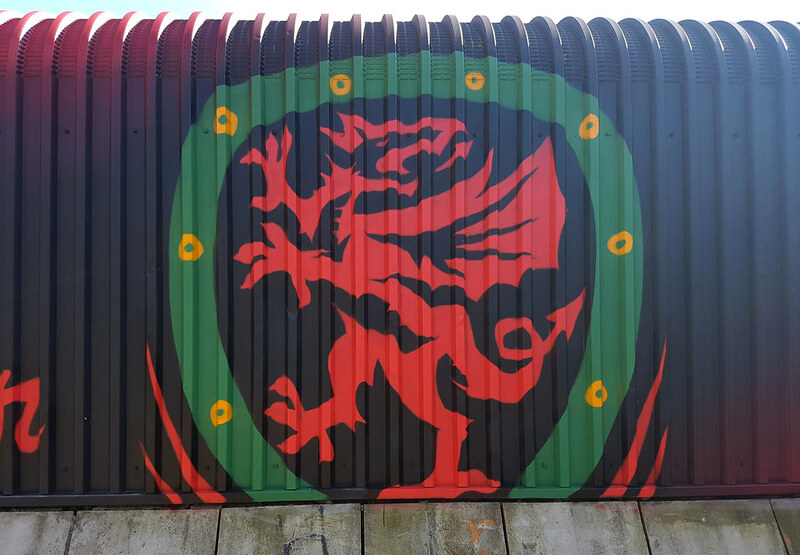 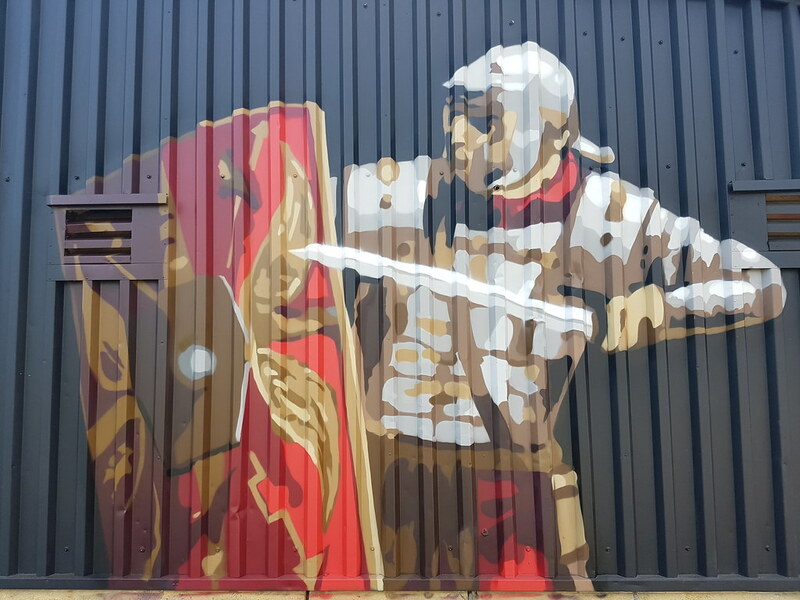 Along the other side is a roaring Welsh dragon and a nod towards the Roman ruins that are buried nearby in the centre of the Ely Racecourse. 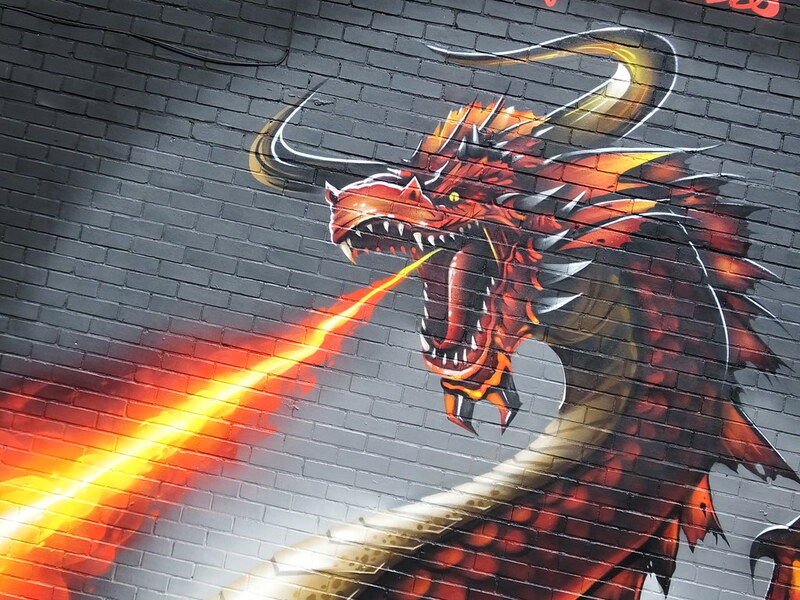 Managed to catch this just before the finishing touches were added to the Dragon’s face. 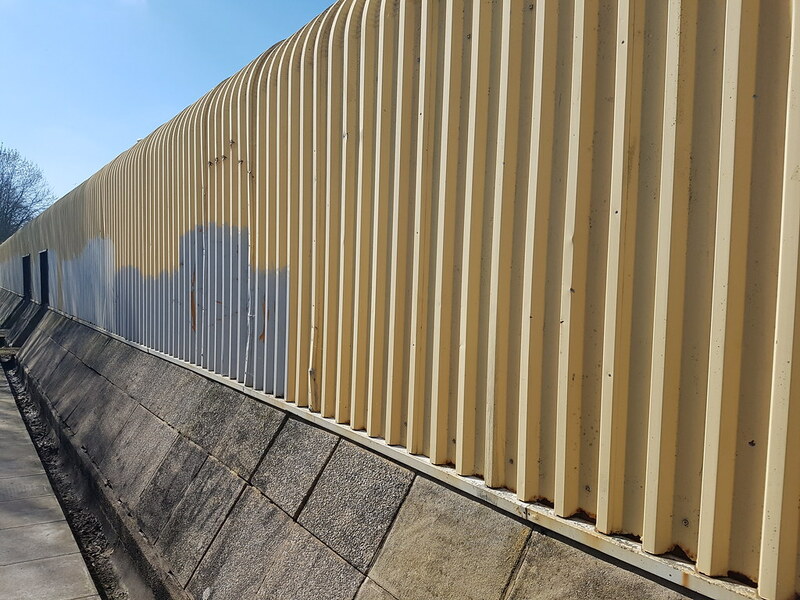 The ugly corrigated metal structure was built in the early 1980s and has never seen such a makeover. 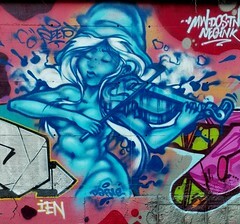 Such a difficult and awkward canvas to paint but the artist rose to the challenge and nailed it. 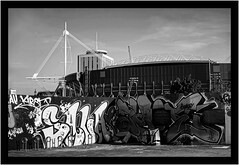 Previous Post Rats are back!